This book reviews recent knowledge of the role of stem cells in the gastrointestinal system. It covers extensive topics for each organ, including the pancreas, esophagus, liver, and colon, while also discussing the contributions of stem cells to therapeutic approaches toward gastrointestinal diseases, including inflammatory bowel diseases. 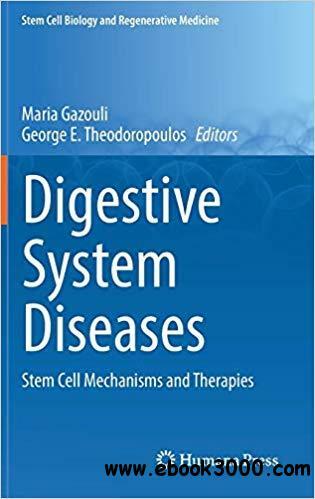 Comprehensive and cutting-edge, Digestive System Diseases: Stem Cell Mechanisms and Therapies deepens a reader's theoretical expertise in gastrointestinal stem cell biology. It furthers scientists' understanding of gastrointestinal stem cells and, most importantly, the development of novel therapeutic targets. Graduate and postdoctoral students, medical doctors (including gastroenterologists and surgeons), and principal investigators in both academia and industry will benefit from this book. In particular, it is a valuable resource for professionals within the fields of gastrointestinal research, pharmaceutical science, molecular biology, regenerative medicine, and genetics.